Vishal is the Co-Founder of Immigranted. As an immigrant himself he has first account of how an education is a great equalizer and its power to improve the quality of life for future generations. He brings with him the ability to tap into his team’s strengths to make the organization run efficiently. He also wants to have fun in the process of making the community stronger. He holds a degree in Finance from Cal State East Bay. He is a partner and CFO at MSNI. He lives in San Francisco with his wife Michelle and their daughter Misha. In his spare time, he enjoys various experiments to improve his health, spirituality and personal growth. 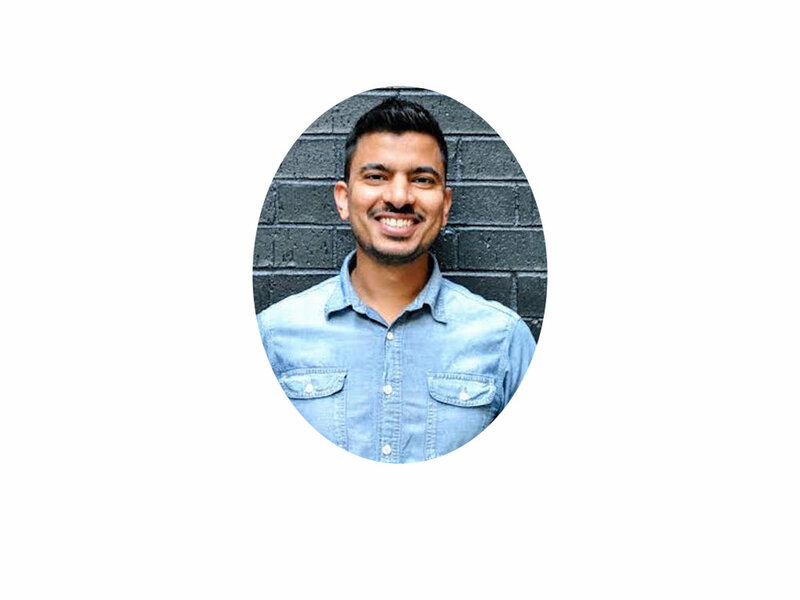 As the Co-Founder of Immigranted.org, Mohit leverages his experience in marketing, community building, and project management to make an impact in the educational space. Being a new dad, he feels now more than ever a strong responsibility to build something that supports those that are in need and leave a legacy for the next generation. Mohit Jain graduated from UC Berkeley with a degree in Business Administration. He recently relocated with his wife from San Francisco to sunny Los Angeles, where they are now raising their newborn daughter. Ankit came on board in May 2017. His mother and father immigrated to CA from India & Tanzania respectively, and his passion for immigranted.org is the idea of bringing the opportunities they managed to acquire for themselves to others who want & need it. He brings with him a scrappy-start up mentality and his experience in developing digital market strategies. He graduated from UC Davis with a degree in Optical Engineering & Economics. He's currently trying to change the way we all cook at home at Innit where he's the VP of Product. A few of his interests include the Golden State Warriors of which he's been a fan since 1990, being the earliest of adopters for gadgets and traveling as much as life allows with his wife. Jesus Diaz is currently an Associate Professor of Research at the University of Southern California. He was born in Mexico and immigrated to the United States at a young age and has experienced the wonderful opportunities and growth provided by education. Jesus joins Immigranted in the hopes of assisting others accessing education and helping them tap into their potential to contribute to the world around them. He is a passionate Trojan fan having also received his BA, MA and Clinical Doctorate from USC, Jesus enjoys going to USC football games and Disneyland with his wife and 2 year old daughter and playing board games with friends and family. As an immigrant himself, Ajay is familiar with the struggle of coming to the US and trying to get loans in order to get through school. He comes to immigranted.org hoping to help people who are going through the same struggle he did and plans to use his experience with fundraising and investor relations to help out the Immigranted team. Ajay, originally hails from India, but came to the US to study computer science at NYIT. After a string of bad roommate situations, Ajay founded Roomi, a peer-to-peer marketplace that helps people find shared housing and the right people to live with. When he isn’t dreaming up new ideas, you can find Ajay with his nose in a business or spirituality book, or enjoying a good sci-fi flick. Monica Anand joined Immigranted in May 2017. Her motivation to be a part of the team stems from her parents courageous struggle. Her Father was an immigrant and graduate student in the US. Although he finished, he was not without the fear about supporting himself financially. As a result, Monica strongly believes that financial assistance should be available for students to obtain a college education. Monica brings to the table her experience in fundraising, marketing and raising awareness for global cases. Along with her work with Immigranted, Monica helps refugees assimilate to American society. She holds a B.S in Mathematics and Managerial Economics from U.C Davis and a M.S in Biostatistics from Cal State East Bay. She currently lives in San Mateo, CA and is a statistical analyst for Biomarin. When she's not trying to save the world you can find Monica spending time with her family, traveling, meditating, hiking, cooking and eating. Her favorite destination to date is Turkey because of the food, culture, people and amazing architecture. A Silicon Beach resident, Ridaa Murad is a first generation American Bangladeshi. He graduated from Bard College, with a degree in Economics. He's a real estate private equity investor in Southern California. Ridaa comes to immigranted.org with the belief that education can change the course and direction of the lives of every human on this planet, and that the thirst for knowledge should be a never ending pursuit for all. He feels extremely lucky in life to have had parents who encouraged the pursuit of knowledge and had the ability and desire to give him the best of education. He has seen first hand children from impoverished backgrounds graduating college as 1st generation graduates, and reaching dreams they never thought achievable as a result of educational opportunities. He feels it's his time and obligation to pay it forward. As an avid supporter of urban inner city education improvements, and of after school programs, he believes he can help connect dots for immigranted.org. When he's not busy working, you can find Ridaa on the golf course, or playing "Monster" with his nine month old daughter. Tobel Thomas was born in Kerala, India and immigrated to the United States with his parents and 3 brothers in 1992. He joined Immigranted because through first hand experience he understands the struggles a family faces when trying to acclimate to a new country. Although growing up was tough, Tobel graduated from UC Davis with a degree in International Business & Economics and is currently the Western Region Director for Allianz. He's motivated to help immigrant students see the potential that an education can have on themselves and community. Tobel helps Immigranted with operations. He has an uncanny ability to network and bring people together which is key to the various events we host throughout the year. Aside from his career and helping Immigranted, Tobel advises various startups and his Co-founder of Modern Beats - a company that brings talented artists together for world class performances. Tobel has been married for 2 years and is a new dad to a beautiful baby boy. He's a big Bay Area sports fan and loves watching the Niners, A's, Sharks and Golden State Warriors of which he's been a season ticket holder for over 10 years.